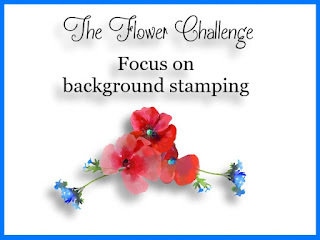 Hello dear friends: Today I want to share with you a card I created for THE FLOWER CHALLENGE's new challenge which is "BACKGROUND STAMPING", I hope it inspires you to join my teammates and me in our gallery. Please stop by their blogs and check out their amazing creations. 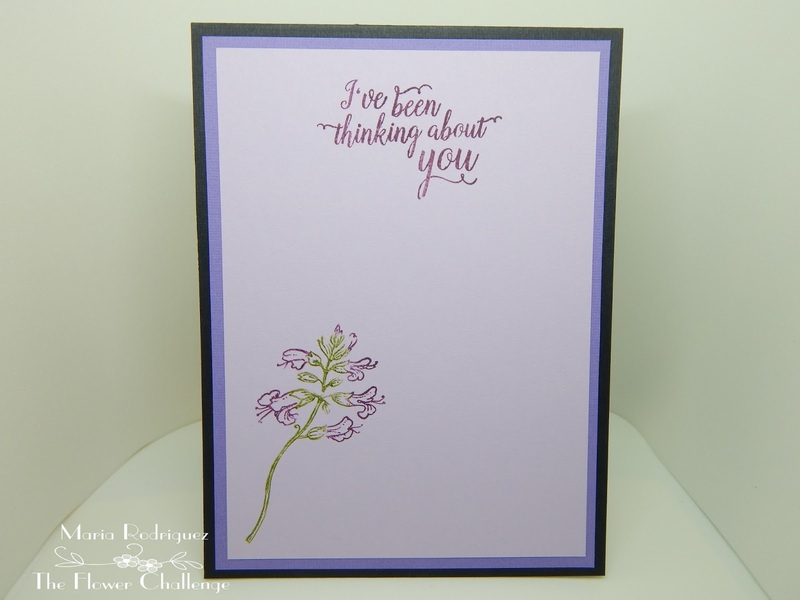 I must confess creating this card was a bit hard for me. Those of you who've known me for a while know I'm not a fan of pattern papers, not because they are not beautiful, which they are but, because I just don't ever know how to mix and match or combine them on my cards with the images I stamp and color so, for me to cover a panel with repetitive images was truly a challenge. But that is what challenges are for, to urge you to step out of your comfort zone and figure something out. This card is it, hope you like it. 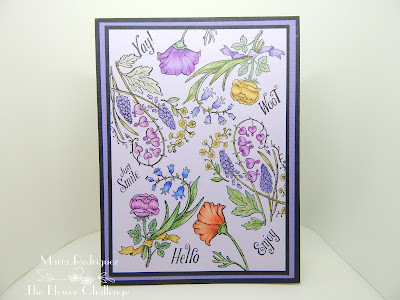 I used 3 different Power Poppy sets on this card, the Springtime Love, the Countryside Bouquet Delux, and the Dynamic Duos: Foxglove and Ranunculus for the sentiment on the inside. 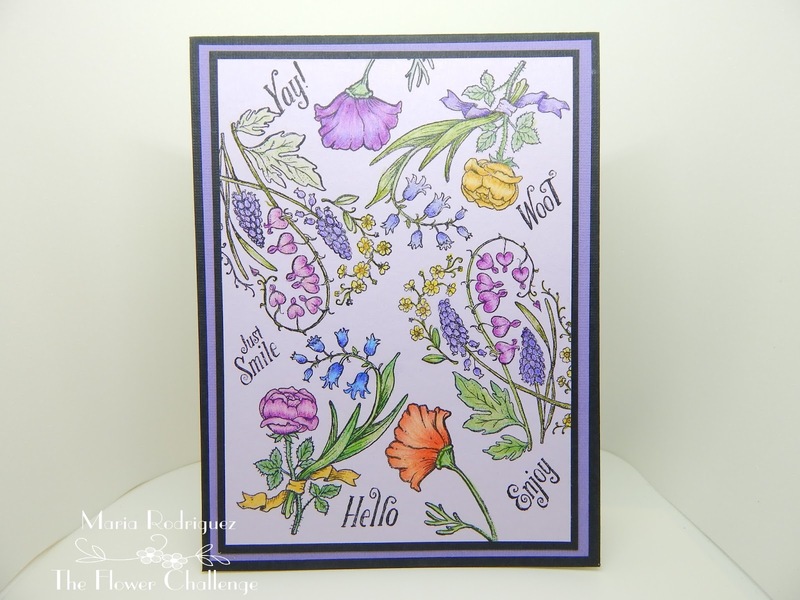 I stamped the images on a piece of lilac cardstock with Stazon black ink and then, I colored all the images with my Prismacolor pencils. Here is the picture of the finished inside of my card. This challenge will run until August 25th. so you have plenty of time to get creative and join us in our gallery. For more inspiration, hop over the challenge and check out my teammates awesome creations, you'll be glad you did. Please remember to check out our rules, they are few but important and don't forget to add our Challenge Banner to your post when you upload your card to the gallery.